Starting to train a great difficulty for beginners is ignorance of the purpose and names of the gym equipment. They have no training experience. If they are not engaged with a professional coach then their technique will be terrible, and they can be injured. 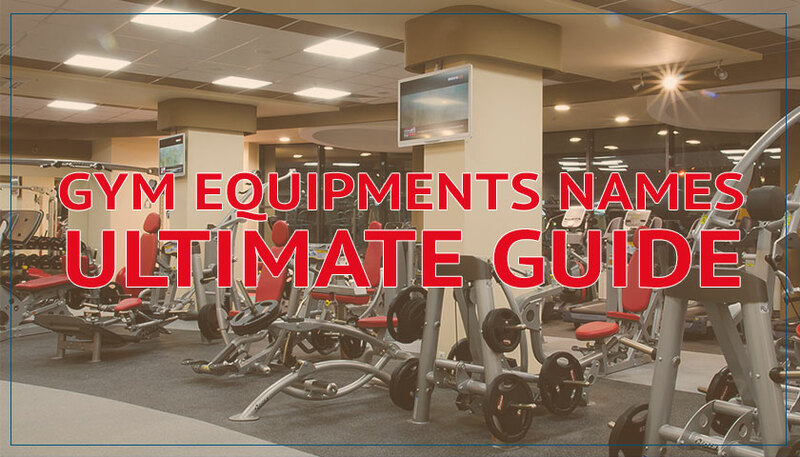 We decided to prepare a manual which gathers gym equipment names and pictures. Below you can download the PDF version. So let’s start the review of the equipment. I must warn you that the equipment options can differ visually. But the main features and functions will be common to all models. Ab Roller allows to properly train the core muscles. There are a number of variations of the main exercise is rollback. It is performed with knees or straight legs. The kit may include a special Mat for the knees. Abdominal Bench allows you to perform twisting for the muscles of the press at different angles. The height of the foot holder can be adjusted for easy exercise. The different angle of the bench allows you to change the load. Barbells is versatile equipment with which you can perform a workout for the whole body. It’s all kinds of presses, pulls, lifts. When using a large weight can be used in conjunction with Squat Rack. Straight and curved neck can be used. Bench Press is used to perform bench press. Depending on the type of exercise you can train different muscle groups. The quality and reliability of the racks affects the safety of training. Can differ on maximum weight, size benches. Calf Machine is designed for calf training. Structurally may vary. But the principle of operation is common for all models. You are sitting lift the load by reducing the calves. The maximum amplitude of the movement, which gives the desired result. Since many of this muscle group lagging behind this simulator is recommended to use regularly. The Smith Machine is a rack where the rod movement is strictly vertical since it is fixed. In some cases, the rod is balanced. This allows you to perform more technically exercises with a barbell, exclude swinging. In addition, it makes it possible to perform additional exercises. Dipping Bars this equipment to perform dips. You will be able to train with the weight of your own body performing basic exercises. Since the exercises are traumatic, it is recommended to warm up and warm up the tendons well so as not to injure the elbows. Dumbbells allow you to perform a variety of exercises training the whole body. Mostly used for upper body training, or as a General burden. Can be solid or collapsible with weight adjustment. Allow you to perform exercises alternately, separately with each hand. Great for training at home. 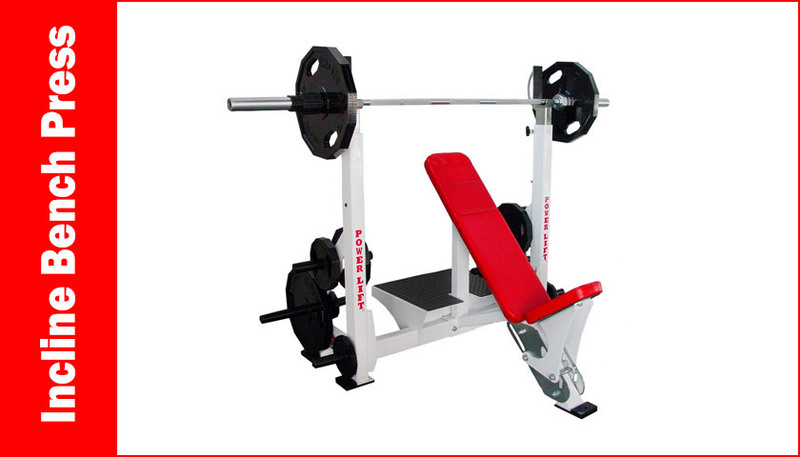 Hack Squat Machine is equipment that is used for training the quadriceps of the thigh. A great alternative to squats with a barbell. The position of the body at an angle relieves excess load on the spine. A more comfortable position allows you to focus more on leg training. The Hammer Strength Machine uses free weight and levers to create resistance. For many athletes, this equipment is ideal for deep study of the chest muscles. It is important to keep your back at the seat back and adjust the equipment to your height. It is possible to perform the exercise simultaneously or alternately with each hand. Resistance Bands have become popular recently. They do not carry the risk of injury and allow you to perform a wide range of exercises. You can use them anywhere as additional resistance. Resistance Bands may vary in size and shape. Usually these are rubber rings or Resistance Bands with comfortable handles. Hypertension Bench is used to train and strengthen the back muscles. These muscles are important for many athletes. They allow you to more correctly and technically perform other exercises with free weights. When using it is important to choose or be able to customize the equipment for your growth. More prepared to use additional weights. Kettle Bells are once again becoming popular partly thanks to cross fit. With them you can train different muscle groups. In some cases, they are more convenient to use than dumbbells. Can be cast or collapsible which is convenient for home. Swings are one of the main options exercises. Lat Pulldown Machine is the equipment to perform the pull with the weights. It is possible to perform exercises sitting or standing. You can effectively train the lats using a wide grip, or perform extension on the triceps with a narrow grip. For more convenient performance of exercises handles can be replaced. Leg Curl Machine allows you to train your leg muscles. Exercises should be performed slowly in both phases of movement. There are variations of sitting or lying down exercises. The equipment may differ structurally. Its functionality and possible exercises depend on it. Can also be called Butterfly. Pec Deck Machine is a good alternative to the bench press barbell or dumbbell. The main motion is a reduction of the hands in front of him. A different trajectory can be more comfortable than training with free weights. Preacher Curl is an excellent equipment for bicep training. The hand is fixed in one plane and the exercise is performed more technically correctly. You do not have the ability to actively help yourself by rocking the body. It is more convenient to use the rod taking it from special holders. A soft pillow makes the exercise more comfortable. Push Up Bars are used for more comfortable doing push-UPS. They make the workout more comfortable for the wrists. In addition, the amplitude of the motion increases. Pectoral muscles stretch more and get additional resistance. Jump Rope can be perfectly used for warm-up. Exercises with it develop and train the cardiovascular system. Simple jumping rope allows you to actively burn calories. It can be the simplest models and something more modern and advanced. Vertical Climber Machine simulates the movement of a climber when climbing a mountain. Training is more effective because it involves several muscle groups. You burn calories faster and get the desired result. Inversion Table is not used for training, but for relaxation, treatment and prevention of back pain. Training with this equipment allows you to fully relax the spine and back muscles. It is recommended by doctors when recovering from injuries. Pull Up Bar is a great alternative to the horizontal bar at home training or to save space. The main exercise that can be performed-a pull-up. With it, you can train your upper body, back, arms and shoulders. Squat Rack makes training with a rod more convenient and safe. This is especially true for squats with more weight. In addition, with additional accessories Squat Rack can perform other functions. Wall Ball is used as a weight training for upper body – arms, shoulders, core. Most often its diameter is 14 inches and weight may vary. Can be covered with rubber or leather shell. Most popular in crossfit training and in training fighters. Power Tower replaces the horizontal bar, bars and other additional equipment for training with your own body weight. You can install it where it will be convenient for you. The main exercises are pull-UPS, dips, Vertical Knee Raises. Exercise Bikes this is a traditional exercise for training the legs according to the principle of Biking. It is compact and convenient. It’s easy to use for cardio. It is necessary to take care of moderate loads on the knee joints and perform a warm-up before training. Rowing Machine simulates rowing on the kayak. The main exercise involves the muscles of the back, shoulders, arms and legs at the same time. They can have two or one handle. Rowing Machine allows you to develop strength and endurance. Treadmill allows you to walk miles without leaving your home or gym. It is a popular and efficient equipment. More expensive models allow you to adjust the angle, use the specified training program. The digital display shows the distance traveled, calories burned. Elliptical Machine engages the entire body – legs working on the pedals, the hands execute the movement of the skier. Training allows you to develop strength, endurance and effectively burn excess weight. The computer will show the amount of work done and calories burned. Incline Bench Press is a bench whose back is set at an angle. This allows you to exercise the upper chest muscles. Also, this type of bench is often used to perform lifting dumbbells on the bicep. This position allows you to get more muscle tension. The handgrip Exerciser is a small but useful equipment for forearm training. They can be of different types – rubber in the form of a ring, or with a metal spring. There are even models where every finger is involved. Regular workouts will make your handshake strong. Thanks man for this mega compilation! This is a great reference book that helped me understand the purpose of the equipment, which for me was unknown. Thanks for the detailed guide. As a beginner, it was useful for me to see it and not feel uncomfortable in the gym.